Register now for the 11th Annual Crops & Soils Field Day on July 26th – www.regonline.com/2018cropsfieldday. 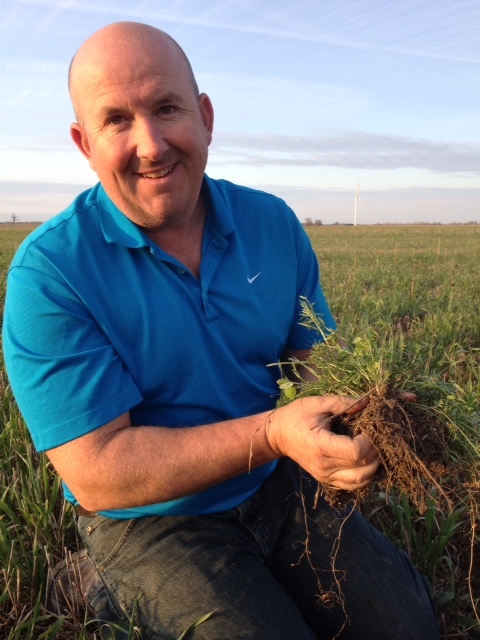 Fifth generation Ontario farmer Blake Vince will share his experience with no-till and cover cropping. On their family farm, they produce corn, soybeans, and winter wheat on 1300 acres and have been no-till planting for more than 30 years. The field day will provide opportunities for farmers to view research trials, see new innovative equipment, participate in workshop sessions, and visit the tasting tent to sample food products from local vendors and businesses. Afternoon workshops will focus on no-till/cover cropping, perennial forage management, malt barley and hop quality, pollinators, and camera-guided weed control systems. The cost, including lunch, is $10 for farmers and $25 non-farmers. CCA and water quality training education credits are available. We hope to see you on July 26th! This entry was posted on Tuesday, July 3rd, 2018 at 11:56 am and is filed under Uncategorized. You can follow any responses to this entry through the RSS 2.0 feed. You can leave a response, or trackback from your own site.